This week, America’s best baton twirlers assemble in South Bend, Indiana, for the self-proclaimed “World Series of Twirling,” the America’s Youth on Parade competition. Barbara and Roger Kurucz, undated. From University Archives. 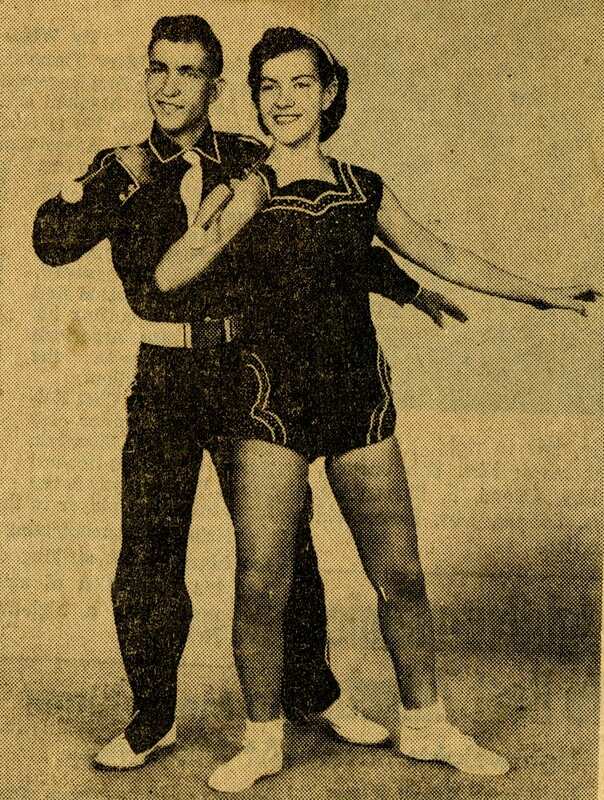 Long before AYOP and its annual festival of soloists, duos, and strutters, Northwestern University had its own all-star twirlers who we remember through their collections in University Archives: Roger and Barbara Kurucz. Though many expert twirlers have performed with the Northwestern University Marching Band, the Kurucz siblings stand out for their sheer dominance during the years leading up to and during their time with NUMB. The Kuruczes, born two years apart, hailed from Cudahy, Wisconsin, where they lit up statewide and national competitions like a flaming baton. 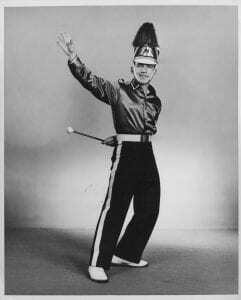 When Roger arrived at Northwestern in 1957 he had already distinguished himself as a National Baton Twirling Champion and the winner of 122 medals and 145 trophies in seven years of competition. In addition to the being a seven-time winner of the South Milwaukee Music Festival twirling championship, Roger was the 1949 national juvenile champion. He won six titles at the Chicagoland Music Festival, a massive spectacle of marching bands, choirs, dance troupes, accordion orchestras and all manner of Americana that filled Soldier Field annually from the 1930s to 1960s. He was offered full athletic scholarships to every Big Ten school and to the University of Arizona. He led NUMB as its drum major. Barbara was already a decorated national competitor when she arrived in 1959. 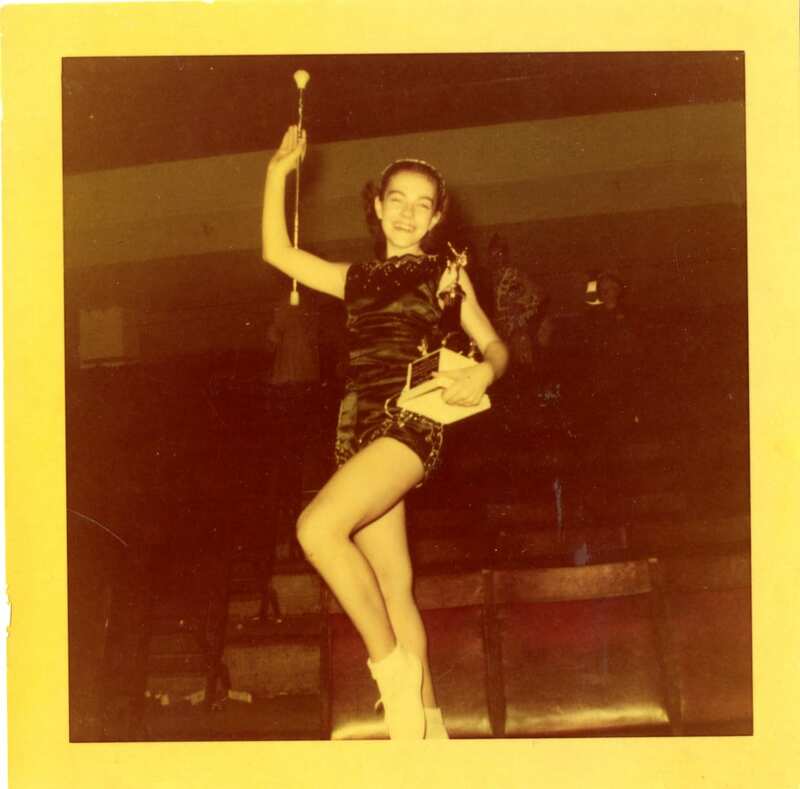 At the St. Paul Winter Carnival of 1954, a precursor of today’s national competition, she was crowned junior champion of the National Baton Twirling Association. After winning four consecutive state champions at the Wisconsin State Fair, she won the main NBTA championship in 1957. “The agile, ‘quick-handed’ miss … drew a gasp from the crowd with an easy catch of an aerial toss high up in the air,” reported the St. Paul Pioneer Press at the time. At Northwestern, the pair performed together, making headlines for their synchronized act. 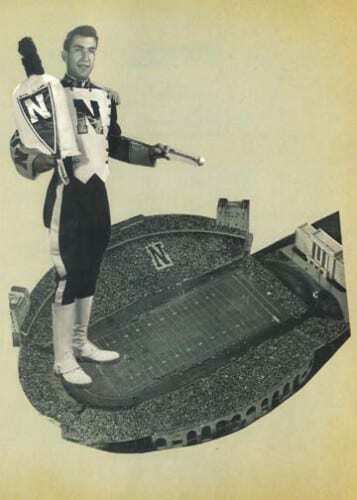 Barbara was the only female member of the 160-piece marching band and the first female baton twirler in Northwestern history. Their donated materials in University Archives include memorabilia like uniforms, batons, scrapbooks and even a pair of cufflinks gifted from Barbara to Roger. Altogether their archives provide a window into the colorful art — and highly competitive sport — of twirling. Roger Kurucz, undated. From University Archives. Barbara Kurucz, undated. From University Archives.